Mayo patients staying at Inis Aoibinn, Cancer Care West, launching their fundraising drive to raise funds to purchase a bus. The service, which is due to commence in early February, will transport patients to Inis Aoibhinn, Cancer Care West’s residential facility on a Monday and home again on the Friday, after their week’s treatment. The charity is launching a fundraising drive to support the funding of the bus, which, like all of its services, will be offered free of charge to patients and their families. 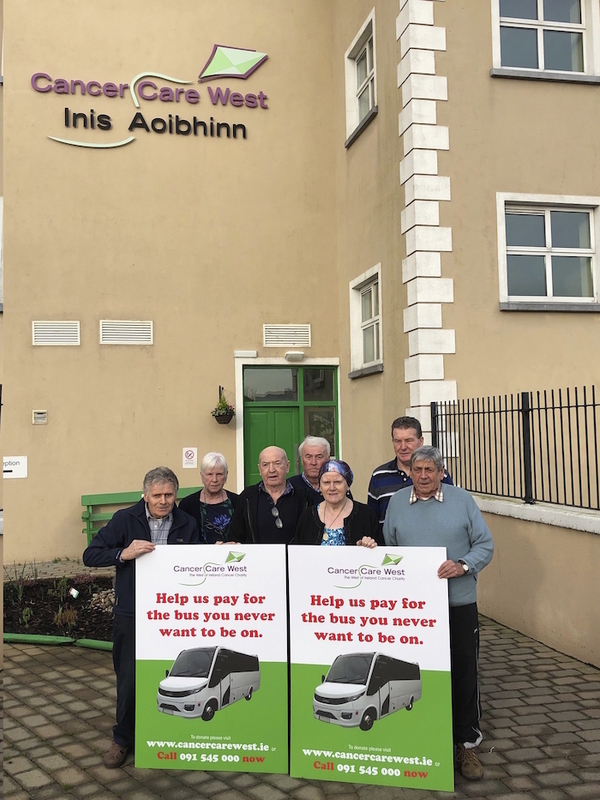 The charity is in the process of purchasing a new 29 seater bus costing €150,000 after being awarded a grant of €100,000 late last year under Measure 4 of the CLÁR Programme, which was established to fund cancer transport support initiatives. Commenting on the proposed new service, Richard Flaherty, CEO of Cancer Care West, stated: "A cancer diagnosis is a very difficult time for cancer patients and their families and we are confident that this new service will help alleviate some of the stress of travel for many patients from Mayo. Every year approximately 250 people from Mayo have to travel to University Hospital Galway to receive Radiotherapy treatment. Radiotherapy treatment is generally 6-8 weeks duration, with one treatment per day. Cancer Care West runs its own 33-bedroom residential service, Inis Aoibhinn, on the grounds of UHG, which provides accommodation, Monday to Friday, for radiotherapy patients who travel long distances from home for their treatment. Each year the lodge accommodates over 100 such patients from Mayo and the provision of this service will mean patients have the option of availing of the free transport service to Inis Aoibhinn on Monday mornings, and home again on Fridays. To find out more about this service and how you can help please visit: www.cancercarewest.ie or call (091 ) 545000.